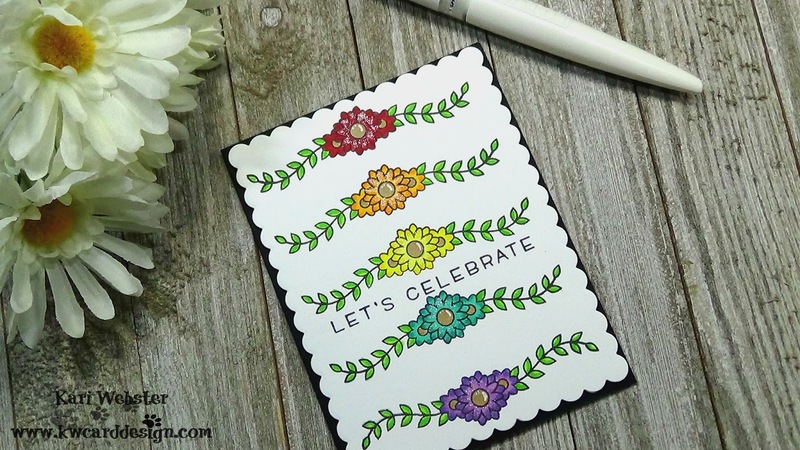 Lovely card design! 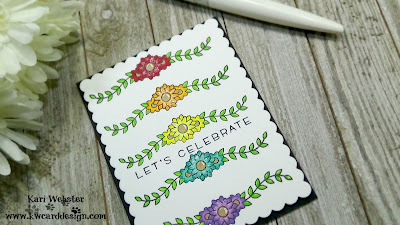 I love the clean and simple look of the repeated stamping! 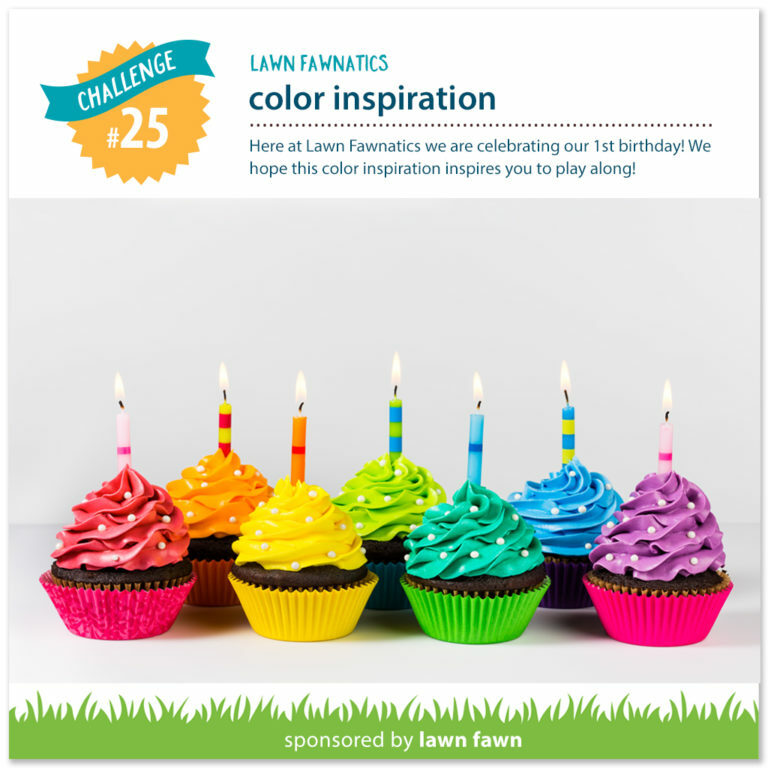 Thanks for celebrating our birthday with us at Lawn Fawnatics!